Item # 317483 Stash Points: 2,495 (?) This is the number of points you get in The Zumiez Stash for purchasing this item. Stash points are redeemable for exclusive rewards only available to Zumiez Stash members. To redeem your points check out the rewards catalog on thestash.zumiez.com. 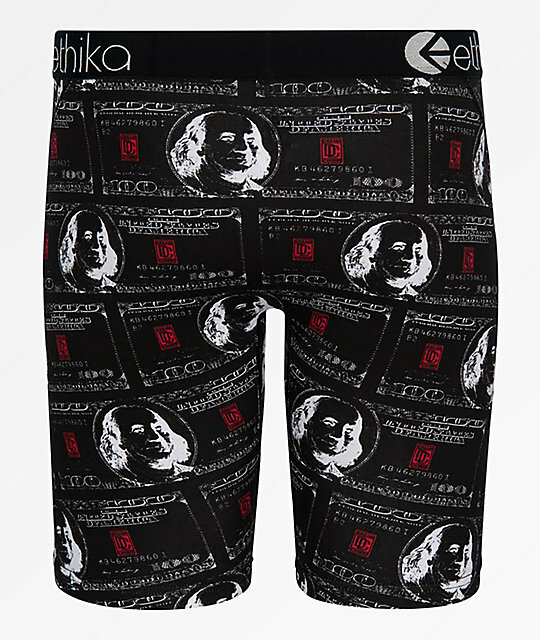 It's all about the Benjamins Boxer Briefs from Ethika. 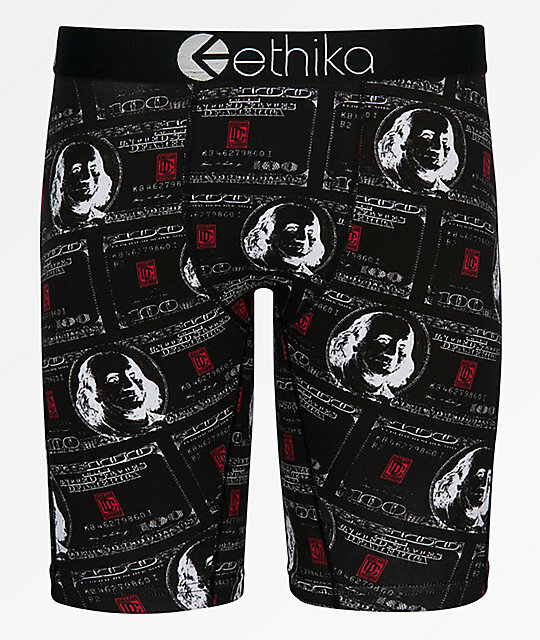 These ultra-comfy boxer briefs feature sublimated graphics of $100 bills throughout on a black background. Flatlock seams and a thick elastic waistband offer ultimate comfort, for a pair of underwear that is priceless. 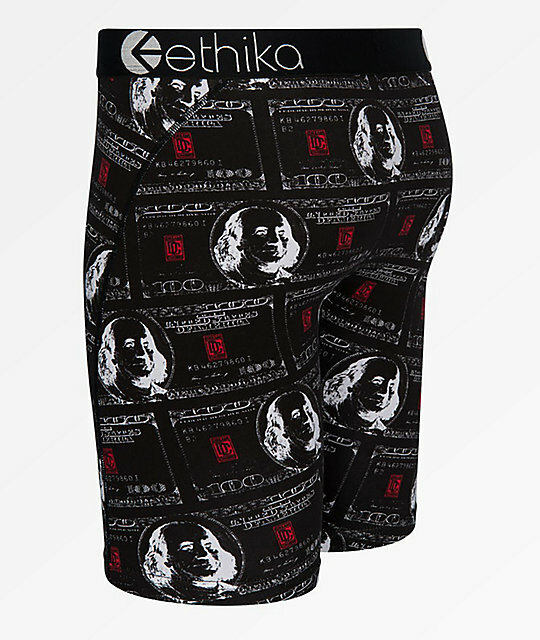 Benjamins Boxer Briefs from Ethika.